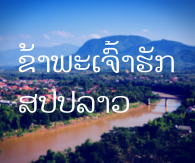 So you have arrived in Luang Prabang and now what! Well we can give you some suggestions about some of the more interesting places to visit and do and hopefully include a few things that most tourists never see! 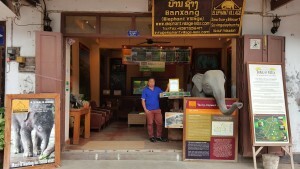 Our office and camp in located in the beautiful Lao city of Luang Prabang which used to be the former capital of Laos and the seat of the former monarchy and we are very lucky to have our sales office is right in the heart of the old city on a road called Sisavangvong Road which is where the famous night market exists. You can’t miss out office; it is the one with a big elephant just outside! Visit Elephant Village of course! What trip to the “Land of a Million Elephants” would it be if you never even went to see these wonderful animals up close and personal! With our award winning camp located in Ban Xienglom, we are the most ethical elephant tour camp in Luang Prabang for a number of reasons. We are the only animal tour operator to actually be Ecotourism Certified by The International Ecotourism Society and have won the TripAdvisor Certificate of Excellence for 3 years in a row. 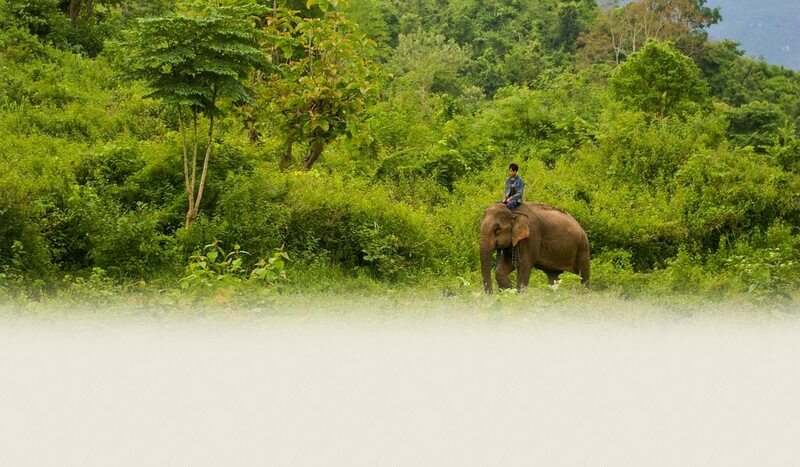 We make sure to always keep the welfare of our elephants and staff as a top priority. You can find out more about the work we do by checking out our page on the ectourism website. A seriously beautiful natural waterfalls located about 30 km outside of Luang Prabang. Most people will decide to get a Tuk Tuk there for around 200,000 Kip; but the more adventurous among you can actually get a bicycle and ride it. One of our accountants, Mr. Bounxai, does this himself for fun every now and then and he assures us that it is great fun! (Just remember to bring lots of water and something to cover your head because it can get very hot). Whilst you are there, you can also visit the nearby butterfly farm which is beautifully designed and kept by a couple of local expats and their local Lao staff. Something that may not be on most travelers radar, is to learn the traditional ways to make a knife from a local expert. We have heard some great things about this place and can personally recommend it to anyone out there looking for something a bit different. Laos has the unfortunate record of being one of the most heavily bombed countries on Earth due the secret war that ran parallel to the Vietnam war. One of the legacies of this is vast amount of un-exploded bombs littered around the country, but mainly located in the Xieng Khoung and Huaphan Provinces on the Vietnamese border. You can see some of the work that UXO organisation is involved in and perhaps get a better understanding about the country in general. Of course, the obligatory Alms giving ceremony. Every morning, long lines of saffron robed monks will walk all around Luang Prbang collecting food and other offerings from both tourists and the locals. The local people who do this every morning must be respected. They are very devout and it is not respectful to just treat the whole process as a thing to check off your list. The monks must not be interrupted during it and women must refrain from touching them. Don’t stand in front of them with your camera just snapping away. These real people and it is not a zoo. If you wish to participate; it would be a good idea to ask your hotel or guesthouse to prepare some sticky rice or snacks for you to give. Dress respectfully and do not just show up in a “I went tubing in Vang Vieng” vest. Have a read through this list made by the government, of things to keep in mind when visiting. Get a traditional Lao massage / Learn some Yoga! Although we can’t really recommend any particular place to get a massage in town; there are a great many that offer some very good massages at reasonable rates, (not to mention the health benefits!). A word of warning here though: The traditional Lao massage can be quite strong, so it may be worth telling your masseuse to start off gentle and then work up to the full body contortions! Yoga is also a really amazing way to get your body in top shape and also to get it into sync with your mind. You want to consider practicing at home first before you really jump into it. However if you already have a base and want to get started right away, you can always head over to Utopia bar to enjoy the river front view as you stretch in the morning! (Check out their schedule here). So there you have, a quick list of some great things to do when in this beautiful city. There many other things to do of course, but this is just a small list to help get you on your way. You are also very welcome to our office to say hello and our staff are wonderful talkers and love every opportunity to talk with foreigners, (you may even get a local tip or two if you ask them :)).